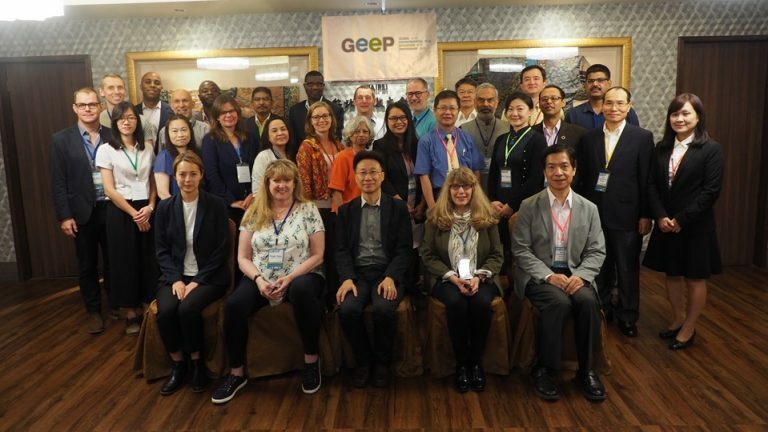 Under the collaboration of EPA Taiwan and US EPA, the 2018 GEEP Advisory Group and SE Asia/Pacific Planning Meetings were held from May 30th to June 1st, 2018 in Taipei. EPA Taiwan and US EPA invited more than 30 environmental education experts from 14 different countries in governmental and non-governmental capacities, to discuss about global and regional environmental education cooperation, linking environmental education networks in the region, and establish a sustainable development future in environmental education. During the opening ceremony, Tsung Yung LIU, Director-General of EPA Taiwan’s Comprehensive Planning Department, expressed that this year’s main focus is to interconnect environmental education organizations throughout the world and to promote collaboration within the Asia/Pacific region. Furthermore, the GEEP expects to establish a more complete regional environmental education networking resources in order to promote regional collaboration. This year marks the 25th anniversary of the AIT/TECRO Agreement for Technical Cooperation in the Field of Environmental Protection, and the 5th year of International Environmental Partnership (IEP). During these past years, both countries have developed a strong partnership with the assistance from the Ministry of Foreign Affairs, Taiwan and the American Institute in Taiwan. This meeting further promotes collaboration of Taiwan’s environmental education with the world, especially in regards to Taiwan’s New Southbound Policy, and solidify Taiwan’s position in the sustainable development of global environmental education. ALL RIGHTS RESERVED 2017 IEP. Powerd by Jinz Digital Marketing.